Do I need special safari clothing? Is it safe to walk around at night? Are there mosquitos in the Timbavati Private Game Reserve? Maybe it is your first time on a safari, or maybe your tenth; regardless, we are happy to provide you with information about going on a safari trip. During your stay you will go on several game drives. After all, that is why you are here. Finally witnessing a leopard slinking towards his prey, hippos exposing their pink bellies in a waterhole, or lions resting on their backs – paws aloft. But there is another way to discover even more: our accommodations frequently offer game walks during the day as well. Let us explain a little bit about both. During a game drive, you venture out in a specially adapted vehicle (mostly open top) to seek the big game species. 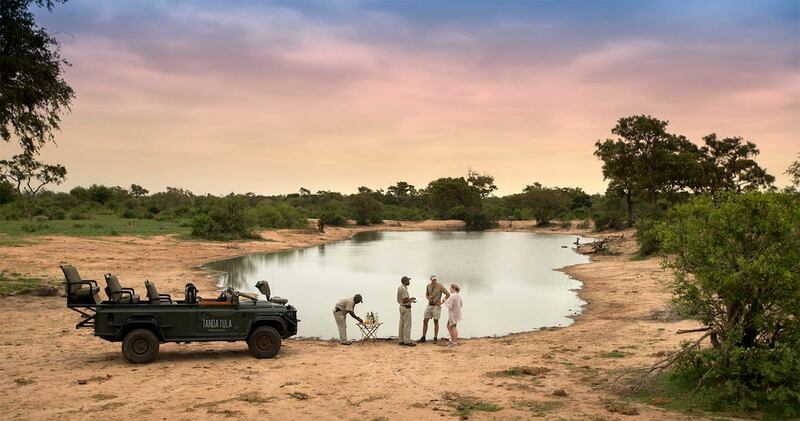 Experienced, knowledgeable, and – very important - passionate rangers and trackers guide all game drives. Most have grown up in the area or have lived there for several years. The community and staff of the Timbavati Game Reserve share a genuine concern for the animals, the environment and surrounding local communities. Trackers and rangers love to share facts and tales about the land they cherish so much. Your guides are armed for your safety, but their deep understanding of wildlife and its behavior guarantees all animals are treated with great respect and dignity. This understanding also helps them tracking animals and seeing details nobody else notices. That said, you are in a natural environment; one day you will spot more wildlife than other days. Although the local wildlife has adapted to the presence of jeeps, during a game walk you can get even closer. Together with an experienced guide you may spot that gangly giraffe; and standing next to it is incredibly thrilling. All your senses are piqued as you hear the animals snorting, smell the soil, and feel the tall grass that crackles with every step. Don’t miss out on this enthralling safari experience. For safety reasons, most accommodations allow children from fourteen years and older on a game walk. What does a typical Timbavati safari day look like? Safari is all about early rises (when animals emerge from their hiding spots), kicking back during the warmest hours of the day, bush-drinks in the afternoon and dinner under incredible night skies dotted with stars. 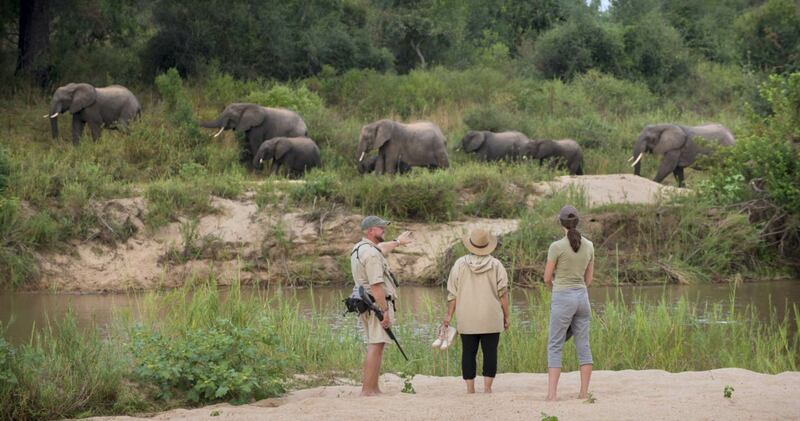 Here is an overview of a typical safari day. 05.30 hours: wake up call, 06.30 hours: after fresh coffee or hot tea and a morning snack, start of the morning safari activity 09.30 hours: breakfast, 10.00 hours - 15.00 hours: time to relax and have lunch; 15.00 hours: second game activity, 19.00 hours: back in the lodge and dinner; 21.00 hours: coffee, drinks, leisure time; 22.00 hours: time to rest, while the slide show of safari memories goes with you in your dreams. 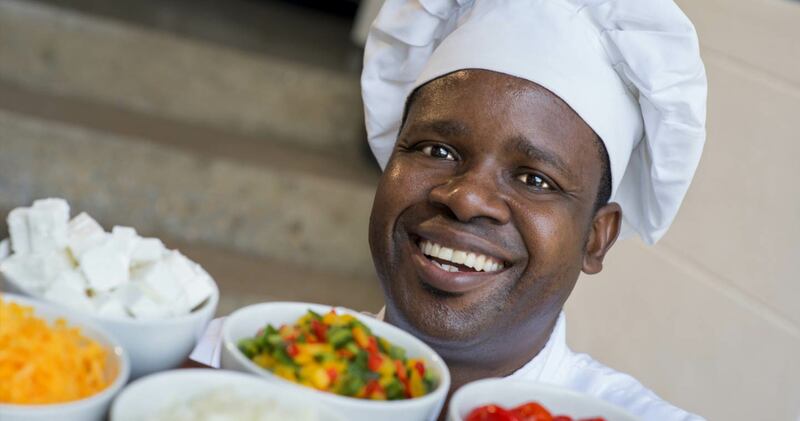 Fresh pastries, warm breakfast dishes, soulful home-style food, heart warming African wines, healthy salads: you will be pampered when it comes to food in our accommodations. In most lodges all meals, as well as coffee and tea, are included in the price. Without giving away all the surprises, meals are often offered at different locations. One night you might find yourself next to the crackling fire of the boma, the next evening a fully set dinner table suddenly appears on a dried riverbank. If you have any dietary requirements, please inform your lodge accordingly; the chefs are more than happy to oblige. Arriving late? Please call the lodge ahead, so they can prepare a late night dinner for you. Thankfully, you don’t need a new wardrobe and a bunch of equipment for a safari. But there is some packing-advice that could come in handy. Wear tranquil colours like green, khaki, brown and black, so game is not scared away. Grab a warm sweater, scarf and hat. Temperatures plummet in mornings and evenings; warm clothes during a game drive in an open safari vehicle are a necessity. Wear clothing with long sleeves and trousers that cover your legs; this against mosquitos and plants during your game walk. We highly recommend bringing your own binoculars. Your ranger will have a pair on the vehicle but having your own definitely increases the fun. A field guide is great fun to ‘study’ during leisure time and helps you understanding what you see right in front of you. 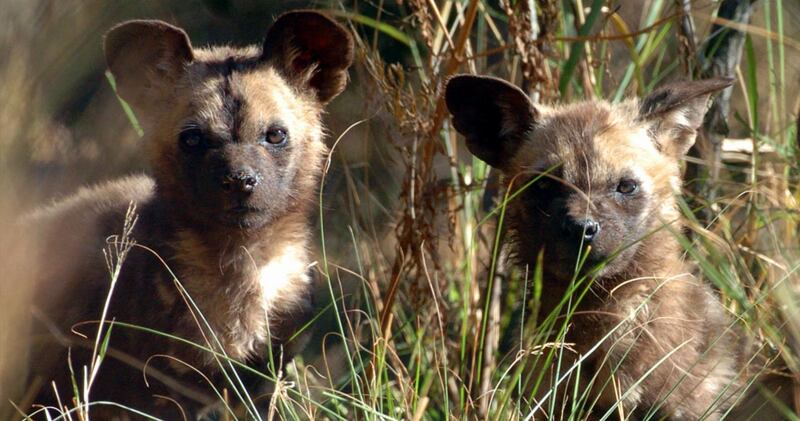 An excellent field guide is "Watching wildlife: Southern Africa". A long established field guide for bird watchers is "Newman's Birds of Southern Africa". (Also very good to get the anticipation growing before you go). Snap a group of darting antelopes or zebras galloping away in a whirl of dust: we don’t need to explain that South Africa is a true paradise for nature photographers. We would like to provide you with some of our tips. The best results are achieved by using a (digital) SLR camera with one or more lenses. For photography of wild animals a lens with a minimum range of 200 mm is crucial, preferably a 300 mm lens. For landscape photography, a wide-angle lens (18 mm or less) is recommended. Beautiful portraits can be taken with lenses with a fixed focal length (usually a 50 mm lens provides good results) and large aperture. Don't feel like carrying big bags of photo equipment on your South Africa safari? An 18-200 mm telezoom lens produces beautiful pictures, and pretty much all subjects are within range. Important during your South Africa safari is protecting your valuable equipment: because you will probably also drive on unpaved roads, dust easily gets into your car and may damage your camera. Make sure a quality dust-free bag always protects your camera. Going on a safari is extremely thrilling and exciting, but comes with a few safety issues. 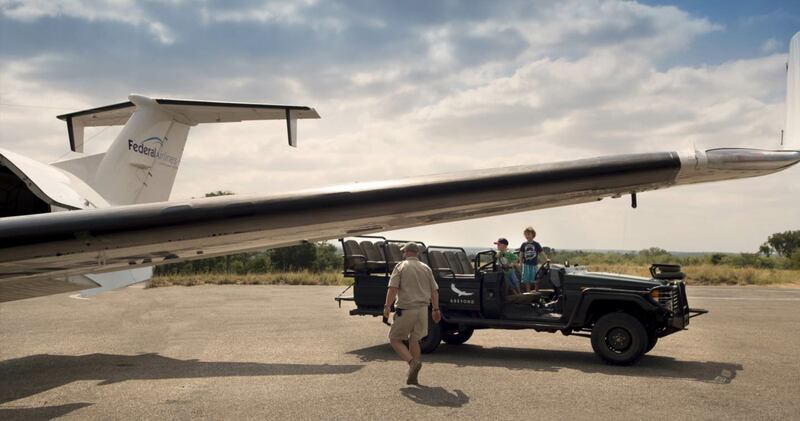 In private game reserves and national parks with big game it is absolutely prohibited to get out of your car, unless accompanied by armed rangers or/and guides. Sadly enough, each and every year there are reports from South Africa of travellers ignoring this simple rule, with all its consequences. In the Timbavati you will drive yourself to and from the lodge in your own vehicle. What to do when you encounter wild animals on the road? Drive slowly and reverse the car when necessary. Do not make any loud noises. Once you are in the lodge, listen carefully to the briefing provided by your ranger or accommodation staff. They always know what game is currently staying in the vicinity of the lodge. Many lodges are not fenced in; wildlife can freely enter the premises and will do so. For this reason it is not allowed to walk unaccompanied around the lodge after sunset. Would you like to go to the main building, restaurant or bar? Just call the reception and they will send someone to pick you up from your room. The word safari originates from the Arabic word "Safar", meaning "a journey". It entered the English language late 19th century and was taken from Swahili meaning "long journey". The verb for travel in Swahili is "kusafiri" and the noun for the journey is "safari". In English we use the word safari when making an overland journey, or photographic or hunting expedition in the African bush.